Phellinus linteus is recognised as one of the most potent medicinal mushrooms, thanks to its strong immune-system enhancing effects. Phellinus Linteus has been credited with being responsible for some instances of "miracle cures" of severe diseases as it is one of the most potent immune system modulating medicinal mushrooms, which is now only starting to come to prominence in the west. Phellinus linteus is a medicinal mushroom used in Japan, Korea and China for centuries to prevent ailments as diverse as gastroenteric dysfunction, diarrhea, haemorrhage and a number of different cancers. It is shaped like a hoof, has a bitter taste, and in the wild grows on mulberry trees. The stem's color ranges from dark brown to black. In Korean traditional medicine, the mushroom is consumed in the form of hot tea. Early research from Harvard, US, has suggested that Phellinus Linteus has anti-breast cancer activity, but that more research is required. 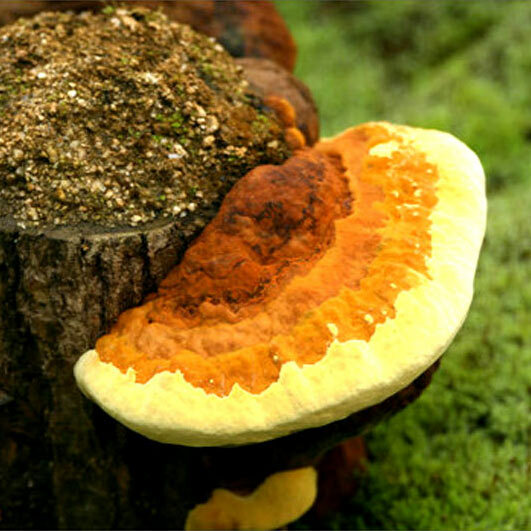 Extracts from fruit-bodies or mycelium of Phellinus Linteus stimulate the hormonal and cell-mediated immune function; reduce the inflammatory reactions caused by a variety of stimuli (like allergies), and suppress tumor growth and metastasis.